The ASP.NET Core Diagram is a feature-rich control for visualizing, creating, and editing interactive diagrams. 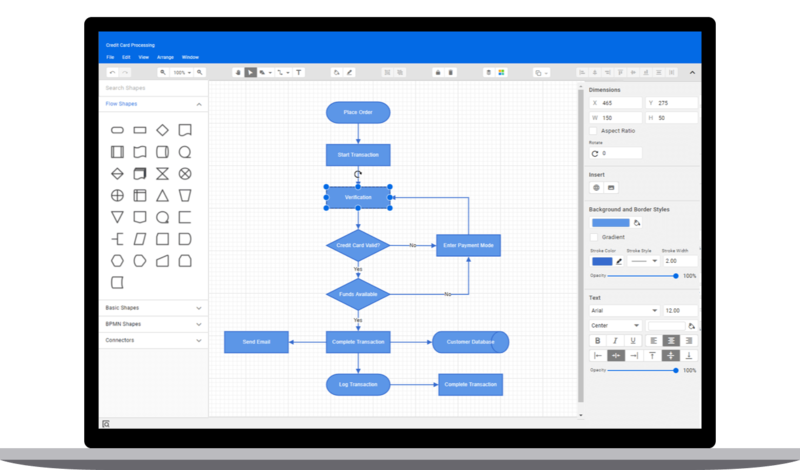 It supports creating flow charts, organizational charts, mind maps, BPMN diagrams, and more either through code or a visual interface. Symbol Palette includes a gallery of stencils, reusable symbols, and nodes that can be dragged onto the surface of a diagram.